When it comes to fiber, “The real problem is we don’t know we have a problem,” says Julie Miller Jones, Ph.D, LN, CNS, professor emeritus at St. Catherine University. 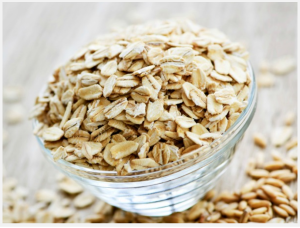 On any given day, 30%-50% of my clients are constipated—which most often corresponds to fiber intake. Add to that the number of parents who realize during our visits that they too must be lacking fiber. An article posted on Science Daily recaps Dr. Jones’s recent symposium at IFT15: Where Science Feeds Innovation hosted by the Institute of Food Technologists (IFT) in Chicago. Research shows that Americans have fallen significantly short of fiber requirements, 38 grams for men and 25 grams for women. Men typically get around 18 grams and women get around 15 grams. Yikes! 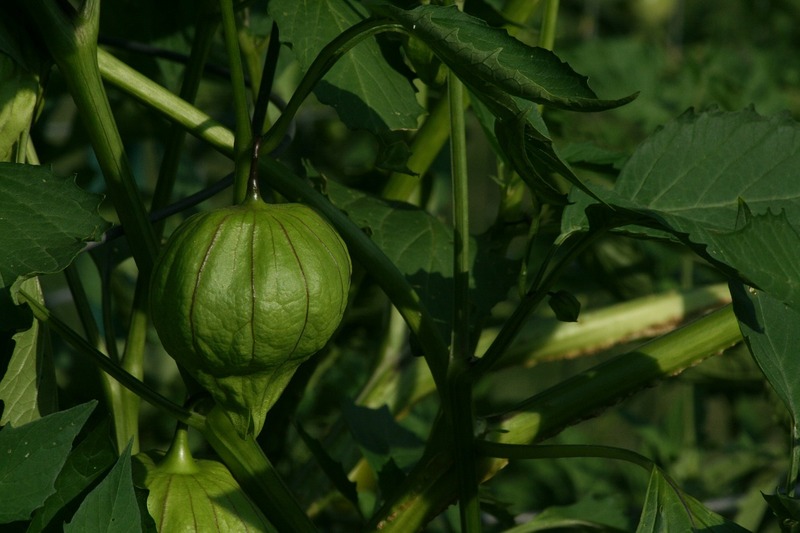 Naturally fibrous foods are crucial to digestion, as well as maintaining overall health. It’s abundant in many fruits and veggies, as well as beans and whole grains. The good news is that the solution to low fiber (and thereby constipation) is simply to eat more fibrous foods and less processed foods. The bad news, as you know, is that change is hard. Eat more fruits and veggies: Dark colored vegetables, like carrots, beets and broccoli typically contain more fiber. Exotic fruits, apples (especially the peels) and oranges are full of fiber. Add beans: You can add beans to so many dishes: pastas, lasagna, stir fry and stews. Try white beans or cannellini beans to add the fiber without a lot of “bean” flavor. Eat soup: Okay, so it’s hot right now. But normally, soup is a great way to eat a lot of fibrous vegetables and beans. 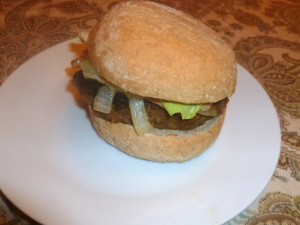 Stick to whole grain starches: If the starch ain’t brown, it’s gonna struggle getting down! This is especially important with breakfast. Cereals like Rice Krispies, Special K and of course sugary cereals are mostly made of simple starches that clog up the system. 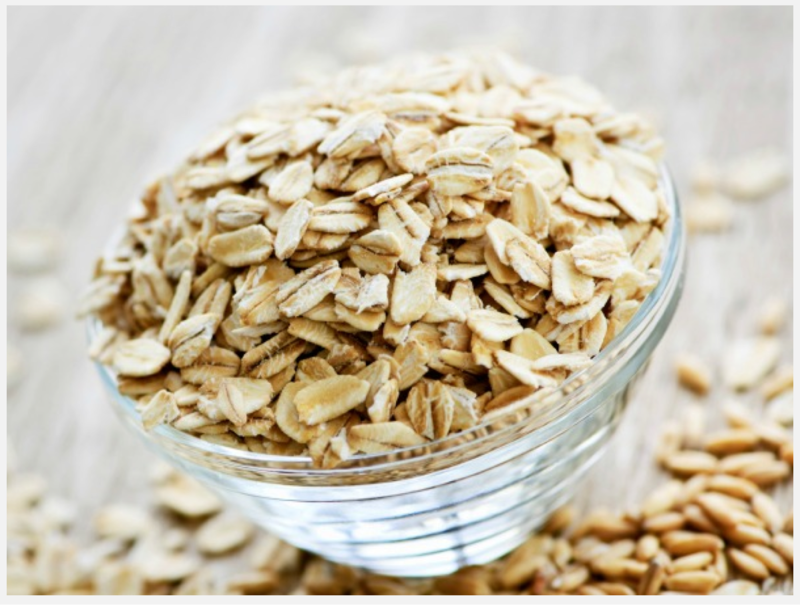 Try whole grain oats cereals like Cheerios, steel cut oats or granola. Lynette Becker, who joined Feed to Succeed this summer as an intern, soon became our official chef. Working tirelessly to develop our first F2S cookbook from our meal plans, Lynette’s little kitchen has become an official bloggers’ test kitchen. Stay tuned for our first online F2S Cookbook, focusing on gluten free recipes in the coming weeks! Healthy eating habits are formed in childhood, which is why it is imperative to eat healthfully at an early age. Luckily, as parents, you are often in charge of what foods your child has available. That’s certainly true when it comes to salt. Following are some tips for reducing salt at home. 1. Reduce processed foods. In eliminating processed foods, sodium consumption is often automatically reduced. Easy, right? 2. Limit salt in home-cooked meals. To take things a step further, reducing sodium intake at home will really seal the deal. It is a common held misconception that eating home cooked food is automatically healthier. 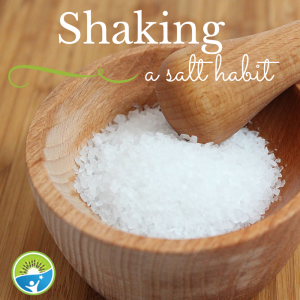 There are many components of home cooked meals that can be unhealthy, but lets focus on salt. Cooking with salt, or sprinkling table salt on your food can automatically push you and your family over the recommended limit of 2,300mg. To put this into perspective, one teaspoon of salt contains around 2,300mg of salt –100% of the recommended limit. So the first step is to stop cooking with salt or high sodium seasonings (get in a habit of reading nutrition facts and looking for “Sodium”). 3. Don’t allow saltshakers at the table. A recent study evaluated the acceptance of reduced sodium meals and overall sodium intake over a 3-week period. They found not only did the individuals enjoy the reduced sodium meals, they were not able to identify that they were lower in sodium than their other meals. The finding I was most excited about was that the individuals did not increase their sodium consumption at other meals to make up for the lower sodium content at their lunch meal! This means that even reducing the salt at one meal will have a positive impact on helping you and your family reduce their sodium intake throughout the day. It just takes starting with one meal! It is important to keep in mind that you and your family likely reach the 1,500-2,300mg recommended limit of sodium just through the consumption of foods with naturally occurring sodium. Too busy playing this summer for elaborate dinners? We’ve got just the list of fast, easy and kid-friendly dinners for you. Bon appetit! Peel the tomatillos and rinse the sticky exterior. Combine all the ingredients in the food processor. Crumble Tempeh into small bits and saute in oil on medium heat until brown (about 5 minutes). Add spices and salt and saute for 1 more minute. The pine nuts are the best part, unless you devour them before you serve the dish. Prepare pasta according to package. 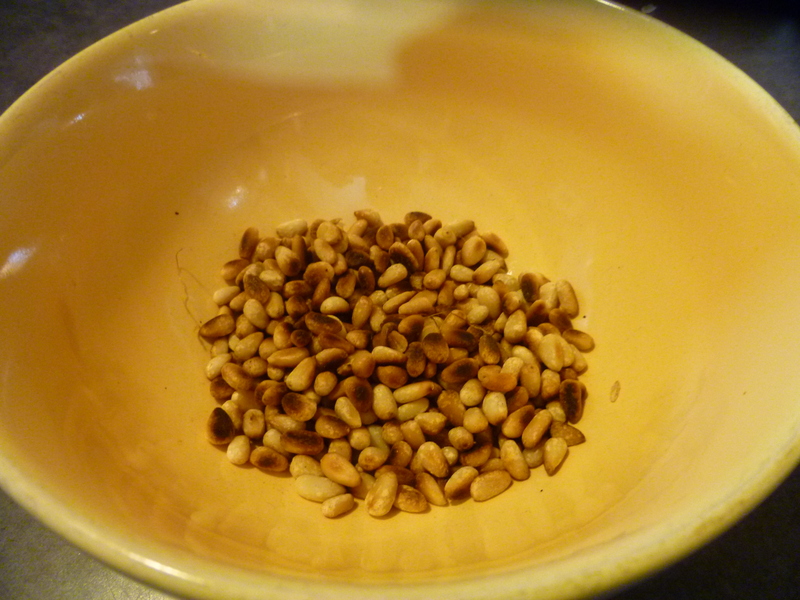 Roast the pine nuts over a dry pan on medium heat for 2 minutes. Shake pan and roast 2 minutes more. The smell is divine, so restrain yourself and do not to eat them all. Saute onion and garlic over butter on medium heat until soft. 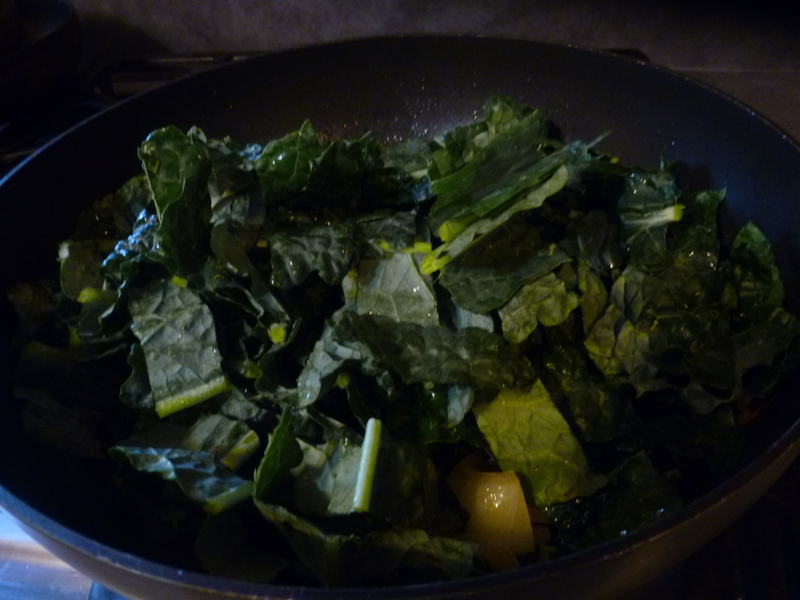 Add kale or spinach and saute until soft (1 minute for spinach and about 5 for kale). Add wine and spices. 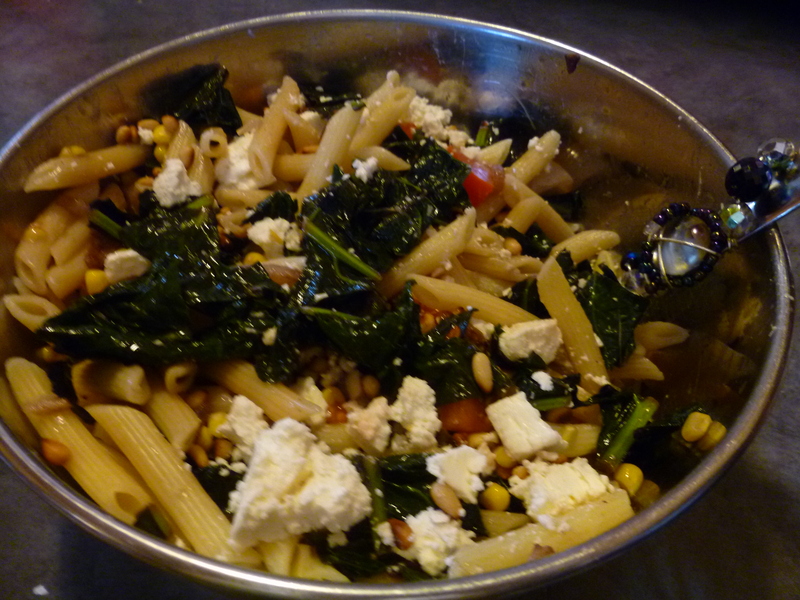 Pour vegetables over pasta and add fresh tomatoes and feta. Top with pine nuts. All that’s required to prepare for this meal is the rice (and beans if you use dried). I cook the rice, then add the beans (and spinach if you’re using it) to the same pot, and then spoon it on top of a tortilla for each person. Add the cheese and pop it into the microwave for 30 seconds. Add the toppings to each person’s liking. For Cuban flair, add plantains to the top: slice ripened plantains and saute over vegetable oil (not olive!) on both sides until brown. Add salt and juice of one lime.